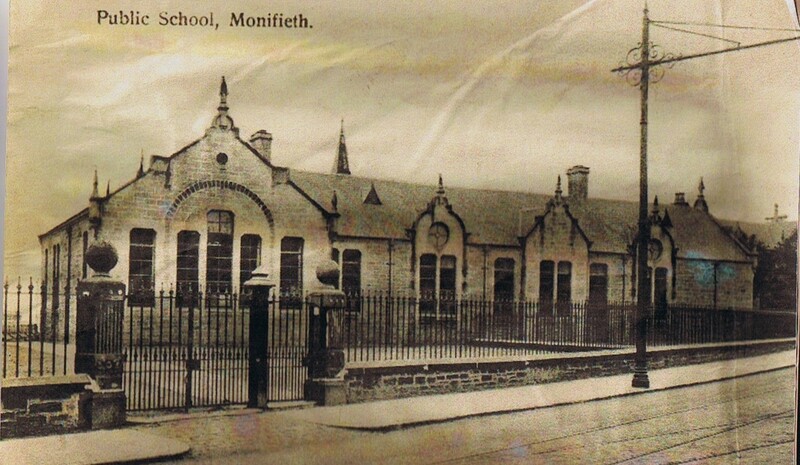 As one with an interest in local history, and generated by the rapid changes taking place in what by choice is my home town of Monifieth, my search for information produced some fascinating details of life in the Angus burgh in 1918. Businesses on the High Street flourished, with a Bank ,Confectioner & Fancy Goods, Bakers. 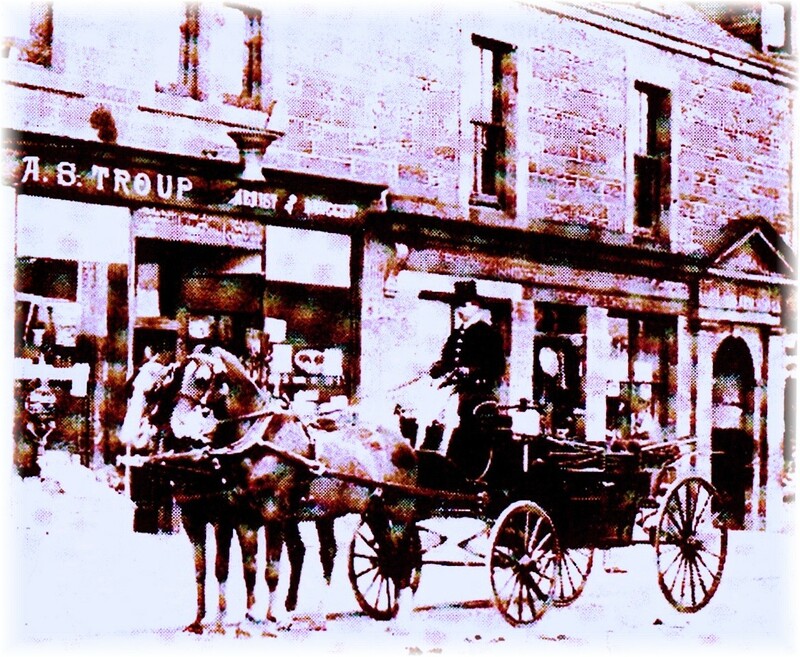 Butchers , Post Office and Circulating Library. 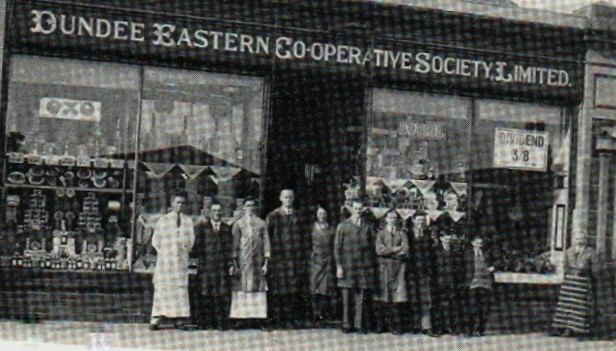 The Dundee Eastern Co-operative Society, ( Monifieth Branch) at 7 High Street, advertising “ “Nothing but the Highest Quality of Goods kept in stock” Members Dividend 3/2d in the £. At 51 High Street, W.K. Nicoll . Fancy Draper, offered a vast selection of Ladies , Gents and children`s wear. Also an agent for Pullars of Perth, Cleaning and dyeing services. The West End Drapery Store, where Mrs Walker always had on hand a first class selection of Drapery Goods. Ladies, and Gents underclothing made to order. Children`s garments a speciality. Machine made stockings and socks, any size; Paton`s wool only used. Babies shawls, Jackets, Bootees, Hoods and hats, all hand made. Best quality guaranteed. H K Sinclair, High Street, General Ironmonger. Electro-plated goods, and cutler. Agent for Anglo American Petroleum Oil, Garden seeds etc. Over fiftyone shops listed . Giving employment to over 160 people. The Royal Hotel, offered Comfortable and Airy bedrooms, for moderate charges. The owner George Stewart wished to inform the public that he has on hand a large stock of Fine Old Whiskies, well matured. Parties wishing a glass of cool beer can always rely on getting it in Sparkling Condition at the “Royal”. 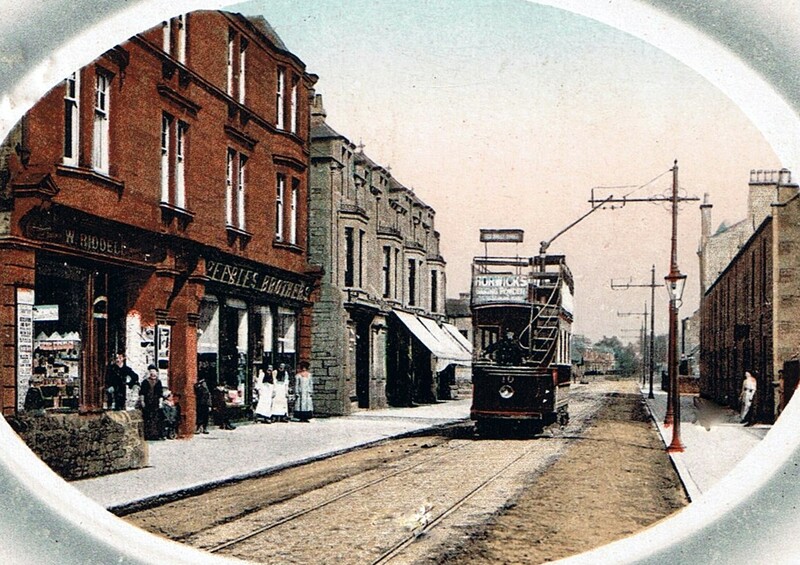 The participants could have used the popular transport services of Monifieth to Dundee Tram Co., which operated throughout the day from 8am, between Dundee High Street and the terminus beside the Royal Hotel. Established in 1905, had later due to popularity and public demand extended the line further to a terminus at the High Street Tay Street junction. Mr Daniel Fisher was the Manager. 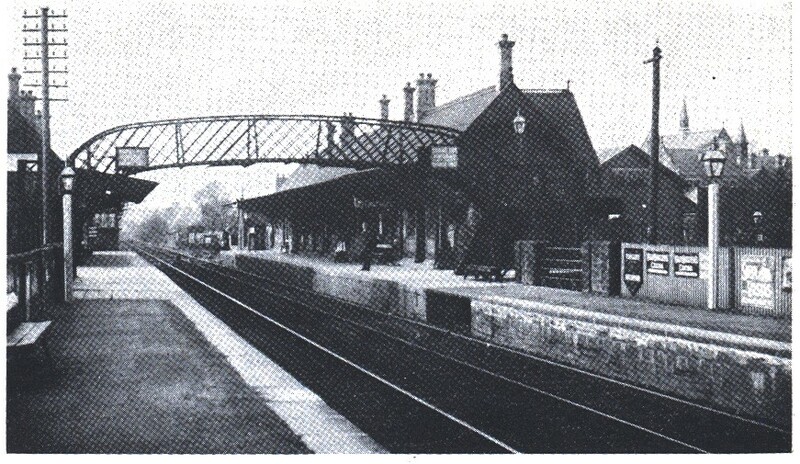 Many residents of the time who worked out with the town, favoured travelling by the excellent rail service, which created a busy scene at the Monifieth Station, with a ticket/ booking hall, and up and down line platforms, waiting rooms etc. The Station master John Gilles in charge, was described as being ever alert, happy and with the knack of inspiring his staff with a like spirit. Many employees of the Monifieth “Foundry by the Sea” ( JF Low & Co.), and Low & Duff Brassfounders , Albert Works, were not residents of the town and were regular users of these modes of transport. 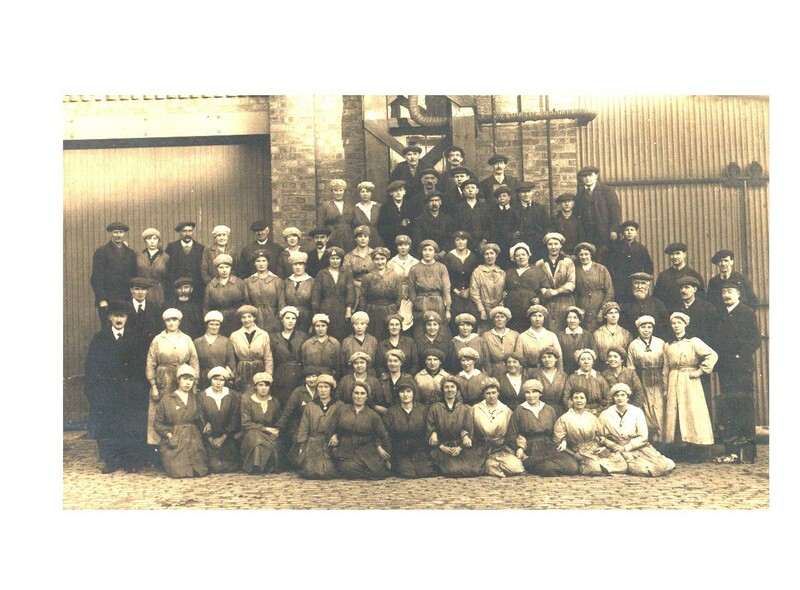 With the majority of local men `away to war` the women of the area became the foundry workers, along with the running of other various essential services. Perhaps residents with a little time to spare, made a visit to the Cinema, which also served as a location for local drama group performances.. Despite the war still on going there was social interaction between the residents who were members of leisure and sporting organisations. The Gerard Hall was used as a temporary Military Hospital, which meant that many activities took place in the other Church Halls. Monifieth Parish Church, Rev D D McLaren. Services listed as the same time as other churches, with times for Holy Communion. Secretary : Charles Nicholson, 9 Durham Gardens. Guild meeting and evening service once a month. Panmure Lodge Loyal Order Ancient Shepherds, William Low. Secretary Monifieth Golf Links Committee : James Young, Etona, Durham Street. Chairman Rev Crawford Smith; Members, Rev D D McLaren, David Low, George Galloway, J M Wilson, Alexander S Troup, William M Bell, Clerk; David Gowans. Treasurer James Fenton. Headmaster John Malcolm. FSA (Scot.) . Headmaster Mattocks School; Alexander Inglis. Provided education for local children from 5years until the official school leaving age. Provision of further education was not available within the Burgh and meant travelling to Grove Academy in Broughty Ferry, or alternatively Arbroath or Dundee. Procurator- Fiscal, A Burns Petrie. Medical Practitioner, Dr Richardson, Hillbank. 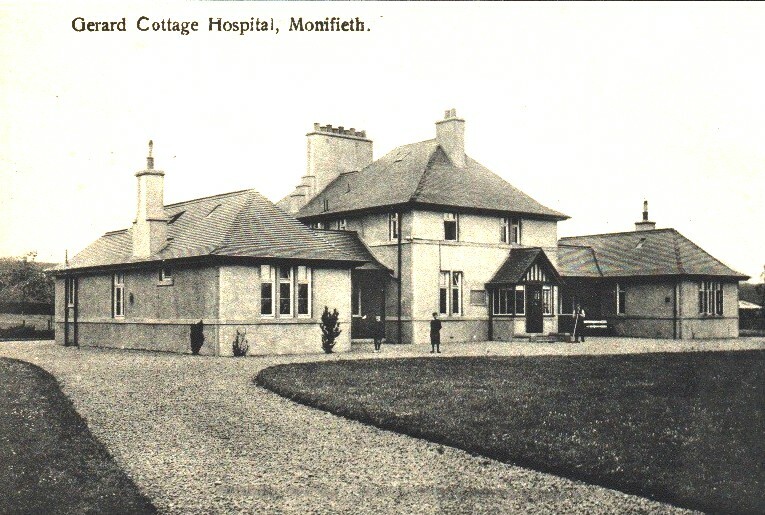 Gerard Cottage Hospital : Matron Miss McIntosh. Police Sergeant Brown & Constable Riddoch. Gas Works Manager Jas. D Luck. The estimated population approximately 4000. “ The year of peace is passing into the limbo of the long calendar of our history. Up to July it was a period of anxiety for our Army, which has for months been opposed by overwhelming odds. Even since then it has been a time of sorrow for many households in all parts of the British Empire. for our brave lads who were facing the unscrupulous foe. When the joy bells rang they had also peal of pathos. There were so many with sad hearts on 11th November, for the brave lads who had fallen. to the ordeal of battle, but to preserve the well being of the civilised world from monstrous evil. Monifieth did uphold the men at the front, and to alleviate the sufferings of the wounded. No place of its size could have done more. Our efforts to raise funds for the various organisations have invariably been successful. a will day in and day out. We have reason to be proud of how they have all carried on so successfully. was the crowning effort of the year, and resulted in a sum received far beyond expectations. Whether those changes are for the better or worse I cannot judge. We can learn from the past. I can understand why those similar to myself choose to make it their `home town, creating what can only be described as a population explosion. There is still a village atmosphere, where people are friendly, and a vibrant community spirit still exists. What will be written about Monifieth 2018, in 2118 ? This entry was posted in Monifieth town and tagged James Low. Bookmark the permalink.